Purple WiFi, the UK-based WiFi social login and location analytics platform, has announced new funding to accelerate its international expansion. The $5m funding was led by Sir Terry Leahy, Bill Currie, Iain MacDonald and Bob Willett from the William Currie Group with participation from Juno Capital a leading Angel Syndicate. Purple WiFi allows users to gain free access to a public WiFi network through their existing social media accounts or a short form. The user gets access to family friendly WiFi, while the benefit to the business hosting the service (such as a restaurant, hotel, shop, museum, sports stadium or shopping mall) is that they are rewarded with valuable analytic insights into the profiles and movements of their customers and a sophisticated built-in marketing platform. 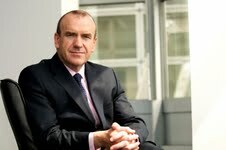 Purple WiFi has also appointed new board members as part of the process, including: Sir Terry, former Tesco CEO who took the retailer from the third largest in the UK to the third largest retailer in the world, launching the Clubcard during his tenure; and Ian Kelly, serial entrepreneur in Telecoms, Energy and other markets. Purple WiFI said the large scale investment interest from both the retail and telecoms sectors demonstrates a recognition of the value and potential for WiFi in these verticals; incorporating the future of shopping, showrooming and enhancing customer experiences in-store for retail, and telecoms recognising the need for valid data offload solutions. Additional investors include: Currie, MacDonald and Willett from the William Currie Group; Jonathan Hammond and Steve Ashton from the beverage distribution industry; Juno Capital a leading Angel Syndicate, including high profile investors such as Sir Nigel Rudd, chairman at Heathrow Airport Holdings Limited (formerly BAA) and formerly chairman Alliance Boots, and three senior Ernst and Young partners, who facilitated the round. Purple WiFi was originally established due to a recognition of the world’s growing need for fast, free public WiFi. The service has been purposefully designed to be user friendly, to be technology ‘agnostic’, cloud based and scalable across geographic boundaries. It meets the growing user demand for fast, secure WiFi enabled spaces, with the added value of giving something back to the company who invested in the WiFi, the company claims. Purple WiFi’s social media authentication covers an extensive number of global social networks, including Facebook, Twitter, Google and Instagram, with Chinese Weibo and Russian VKontakte coming soon. The login journey and analytics platform auto-translates into 18 languages. Thousands of venues globally have already been secured, with strongholds in Europe, Asia-pac and the Americas. Deep technology partnerships have already been established, most notably with Cisco, Cisco Meraki, BT, Telstra and Vodafone, but also many others. A channel organisation, Purple WiFi have distribution agreements with Ingram Micro and Westcon Comstor who are the two biggest in the world, along with a number of country specific ones.